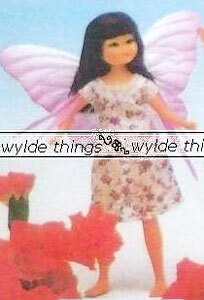 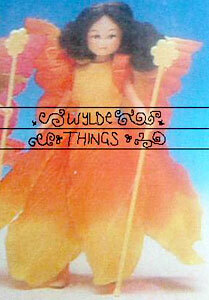 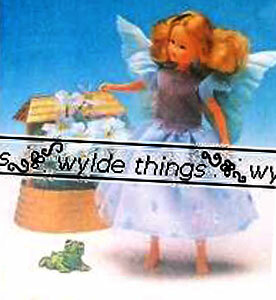 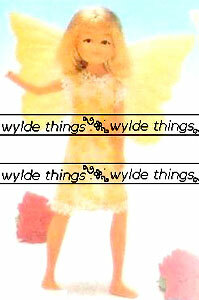 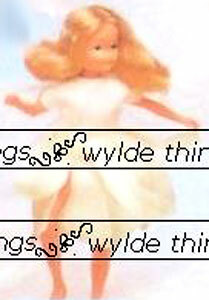 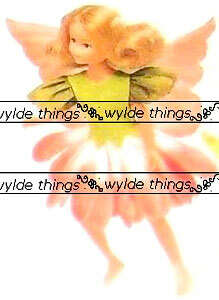 Images on this page thanks to Wylde Things Ltd and various eBay sellers! 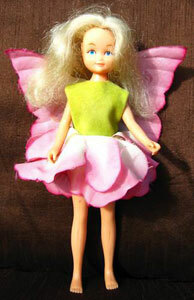 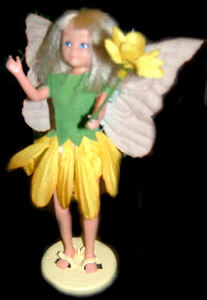 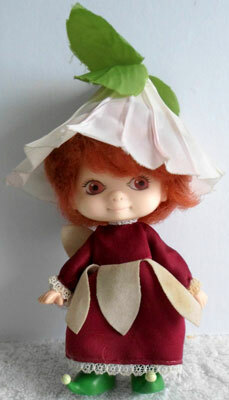 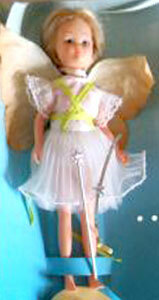 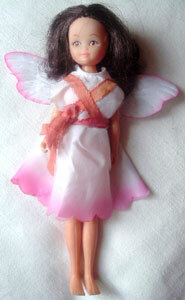 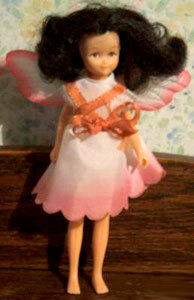 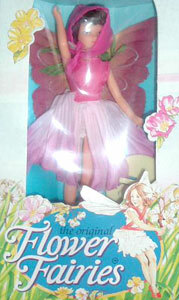 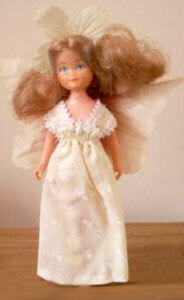 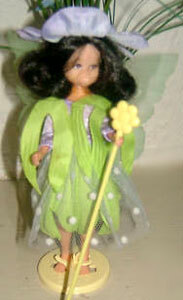 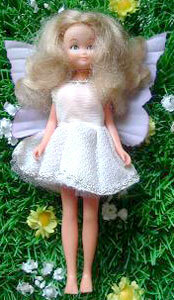 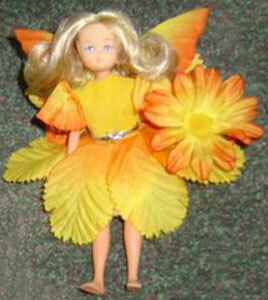 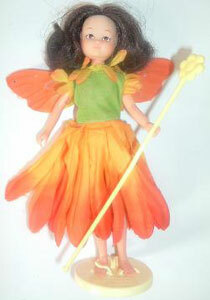 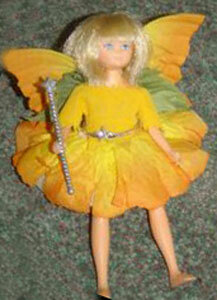 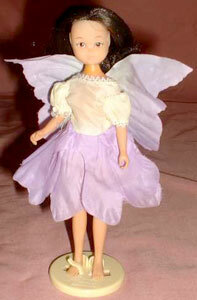 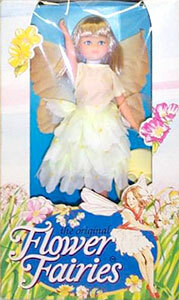 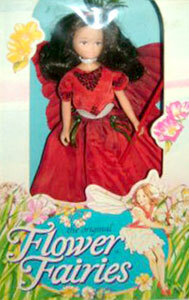 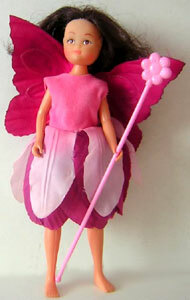 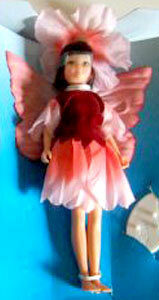 View all Flower Fairies on eBay.com or eBay.co.uk ! 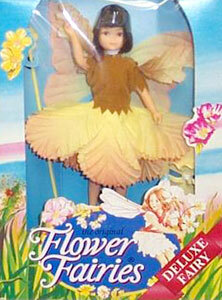 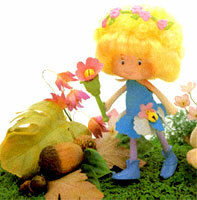 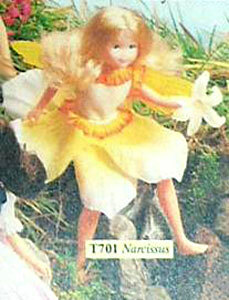 There were seven original Flower Fairies produced. 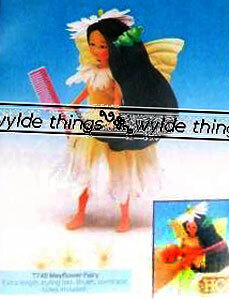 Christmas Tree's outfit was also sold separately (see Costumes page). 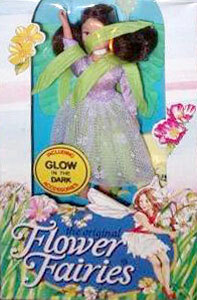 There were three Deluxe Flower Fairies produced at first, I'm not sure what makes them deluxe as the only noticable difference is the flower tipped staff thay all came with. 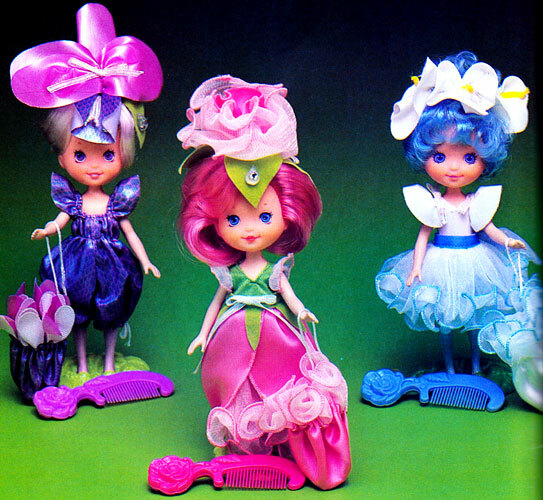 These four had their clothes sold seperatly as Deluxe Costumes. 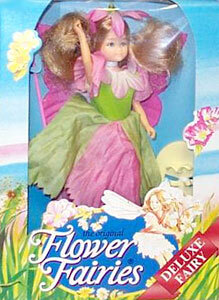 Poppy's box doesn't state she is a Deluxe Fairy, so maybe they weren't sold as such. 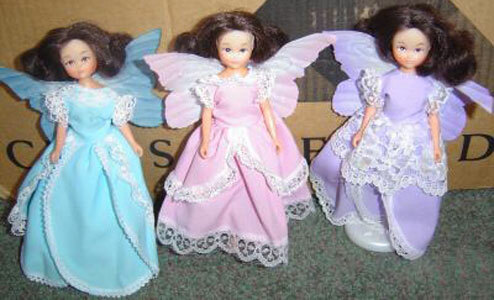 I also don't yet know if the other three were also sold as dolls or just costumes. 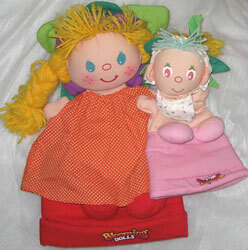 I found mention that these two were also part of the Deluxe line. 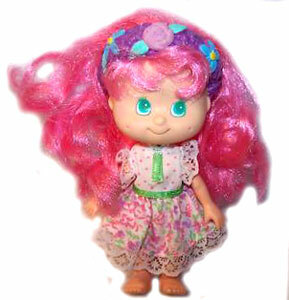 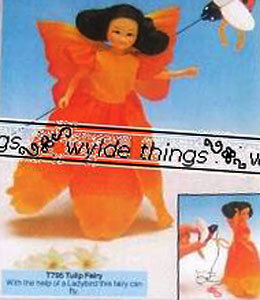 Tulip was also sold with some small accessories too (see lower down). 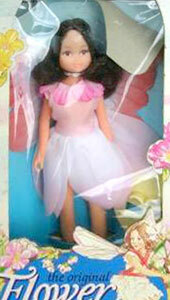 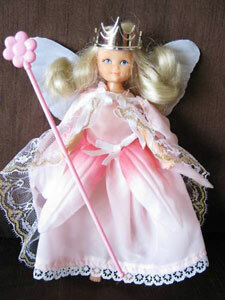 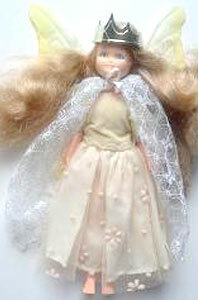 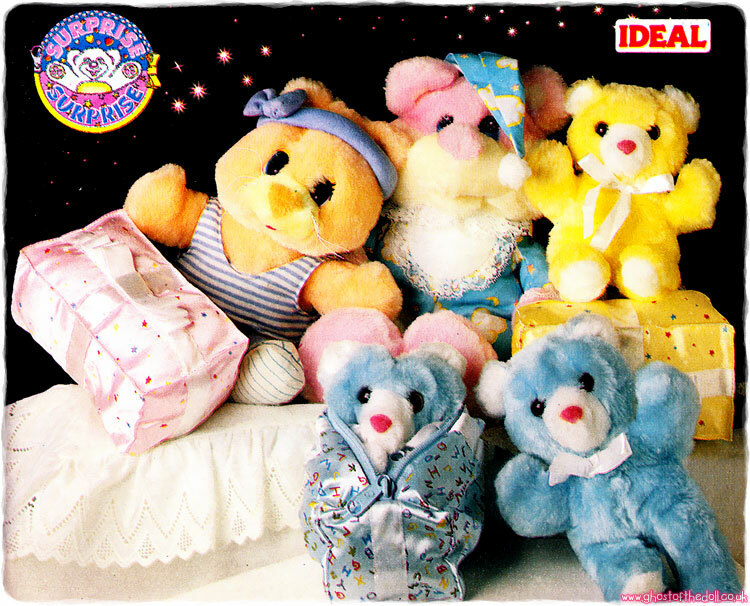 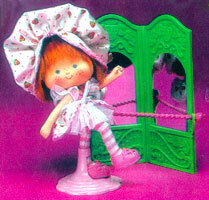 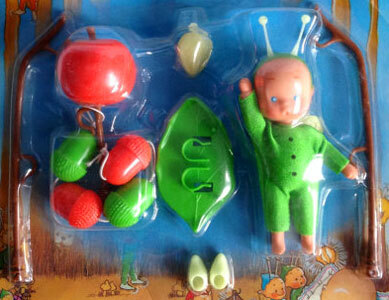 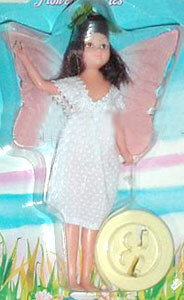 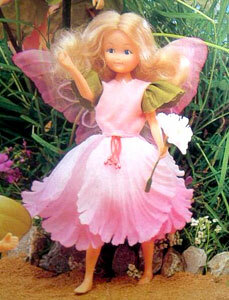 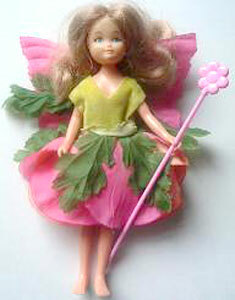 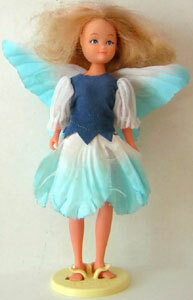 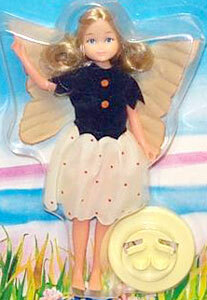 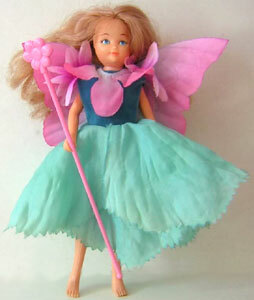 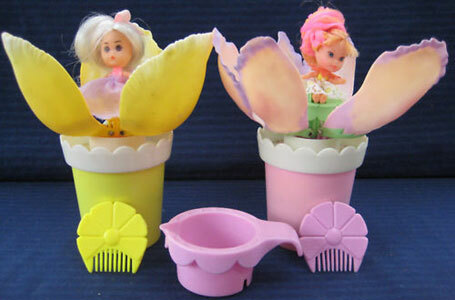 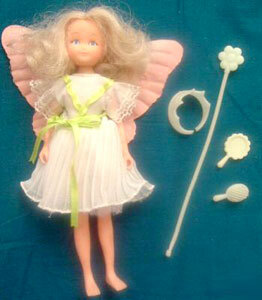 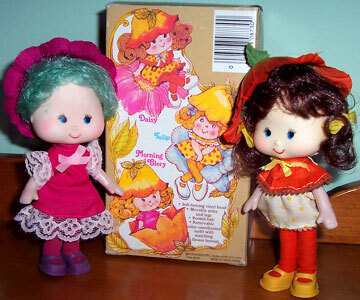 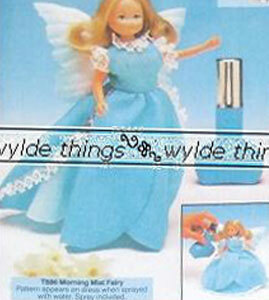 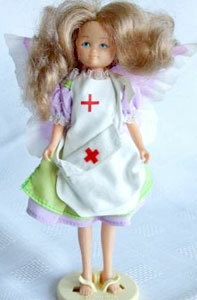 There were five fairy & pixie sets, which were also available individually. 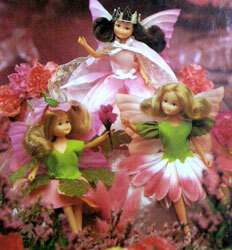 Christmas Tree, Narcissus and Sweet Pea remained unchanged from their original release (see above for images), making only two new fairies in this set. 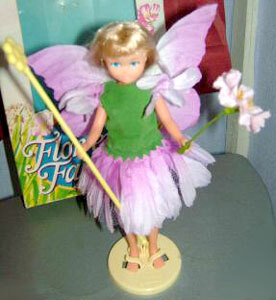 See Pixies page for their images. 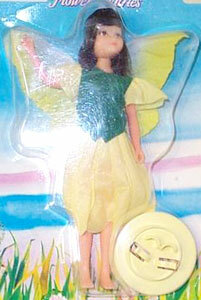 Self Heal & Self Heal Pixie "with first aid bag, bandage, sling, splint & plasters"
There was one mail order fairy produced, available after collecting enough tokens from packaging. 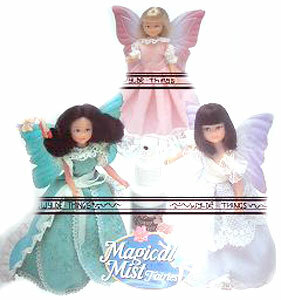 There were three Magical Mist Fairies produced (possible sold in both blond and brunette). 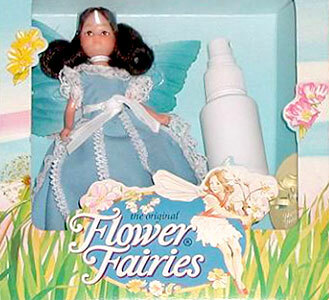 They each came with a small bottle of Magic Mist (water), which when sprayed onto the fairies dresses made flower patterns appear on the fabric. 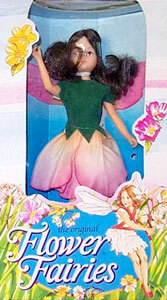 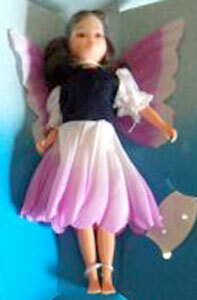 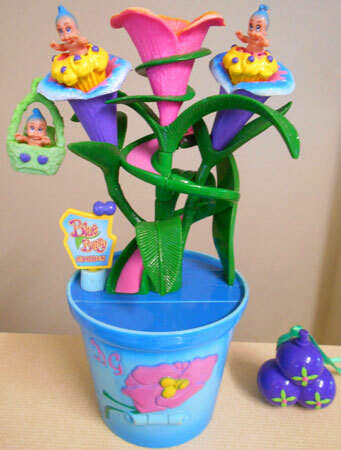 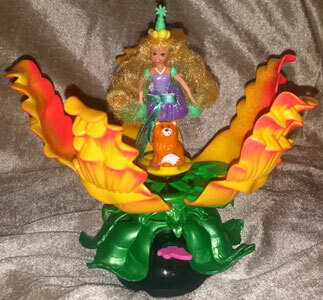 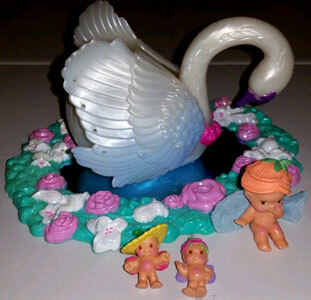 There were at least three fairies which came with small playset accessories (see Playsets for more information on the accessories). 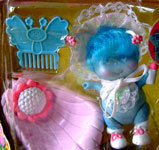 I've also found mention of a Fairy Prince and Unicirn, but I have no idea if they were ever released.